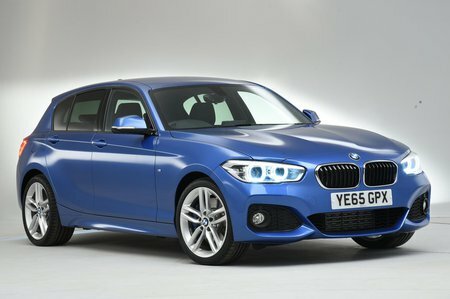 BMW 1 Series Boot Space, Size, Seats | What Car? The front seats are mounted low to the floor – meaning tall drivers will have plenty of head room – and you’ll struggle to find a car with better leg room in the class. There is a pair of cupholders ahead of the gearstick, while the door bins will hold water bottles, although they are a little shallow. The glovebox is a decent size and there is a central armrest with a shallow cubby for storing a smallish mobile phone. Two average-sized passengers will be relatively comfortable, although anyone approaching six feet will struggle – especially if there’s someone tall in the front. They will find their knees touching the front seatbacks and head room on the tight side. A third, central passenger won’t be terribly happy, either, because the high transmission tunnel will obstruct their feet. For cars offering rather more generous rear accommodation, you should look at the Audi A3, which is great for three adults in the back; the Mercedes-Benz A-Class, which is a better car if you carry just two people regularly; or even the Ford Focus, which offers plenty of leg room. You can fit child seats to the standard Isofix mounting points in the 1 Series with relative ease, but rear access isn’t the best because the doors on five-door models are quite short, the opening is narrow and the roof isn’t as high as in some rivals. Access in the three-door model is tricky, too, because the wheel arch cuts into the door aperture and leaves a narrow opening to climb through. The rear bench is split 60/40, so two people can sit in the back when you’re carrying longer luggage. There’s also the option of a ski hatch, which splits the seats 40/20/40. Most of the 1 Series’ rivals are similarly conventional, but there are no clever tricks such as sliding or reclining seats. Still, folding the seats is easy enough and the rear headrests flip automatically to make them lie flat for better rear visibility when you don’t have anyone in the back. 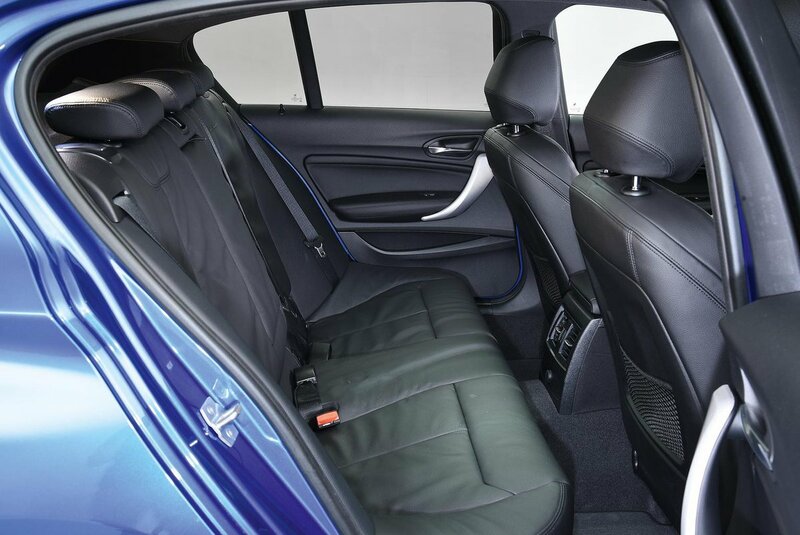 The front seats in the three-door model return to their original position after you’ve tilted them forward to allow access to the back seats. Passenger lumbar adjustment and fully electric seats are both on the options list. 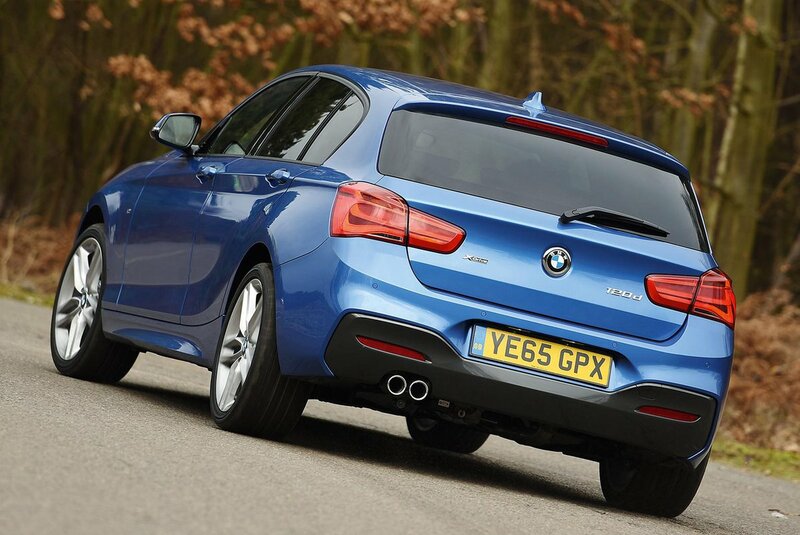 The 1 Series’ boot is okay rather than great for a family hatch. It’s smaller than that in an A3 and A-Class; a point proved by the fact that we fitted six carry-on suitcases in those two rivals and only five in the 1 Series. There’s a small loading lip to lift luggage over and into the boot, and no option of a height-adjustable boot floor that you get in an A3 or Volkswagen Golf. But if you drop the rear seats, you get a flat, uninterrupted load bay right the way to the front seats.